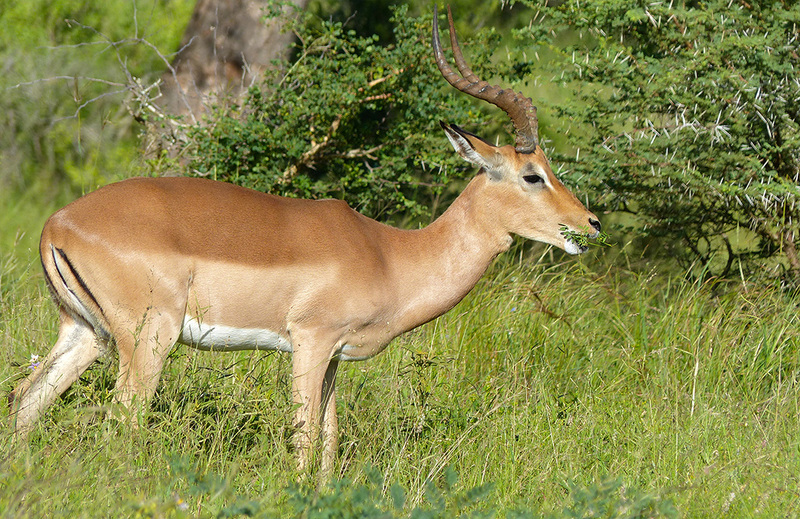 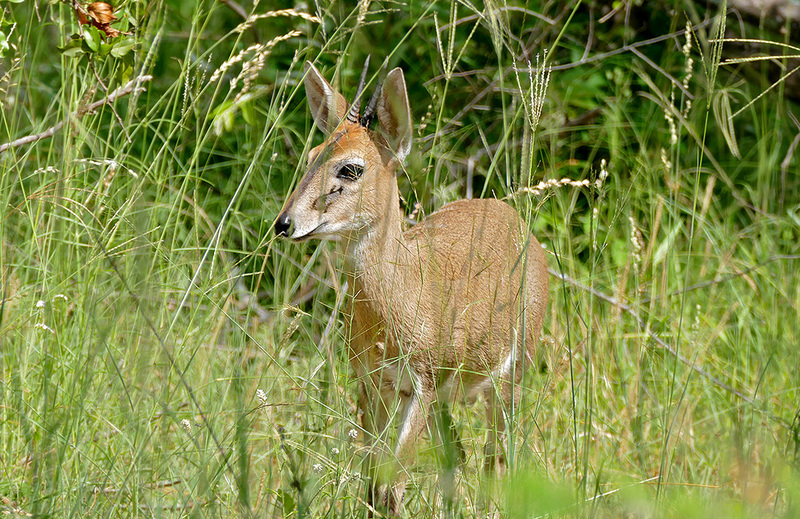 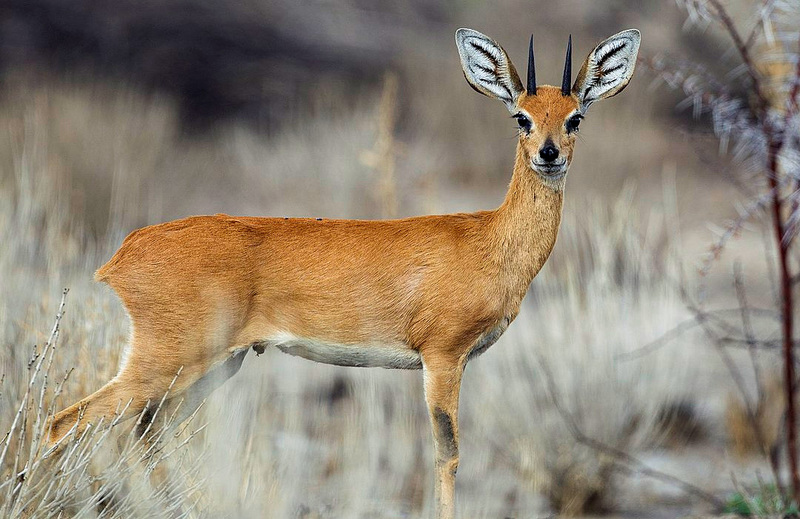 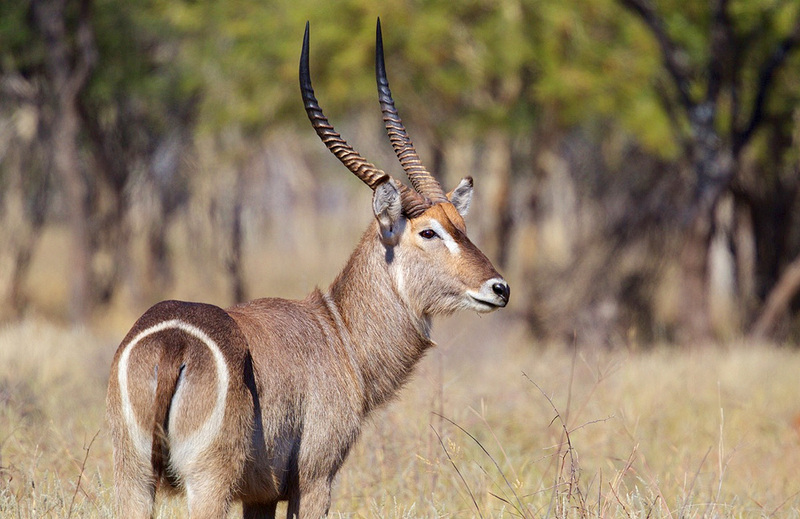 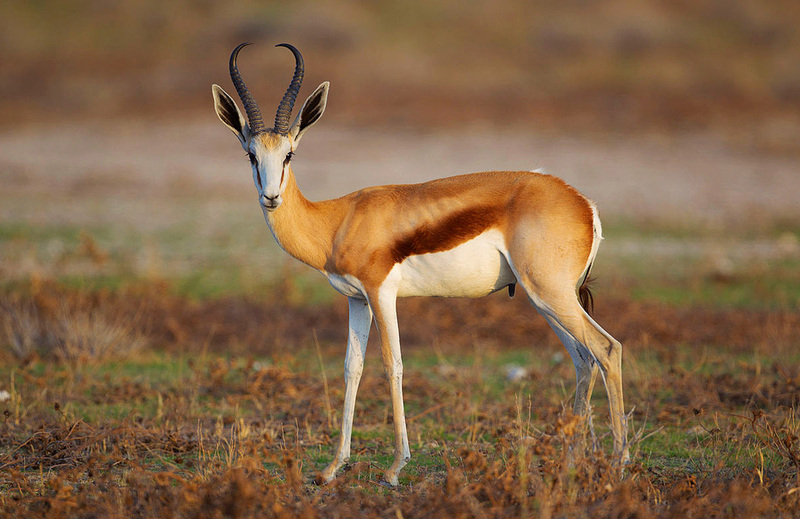 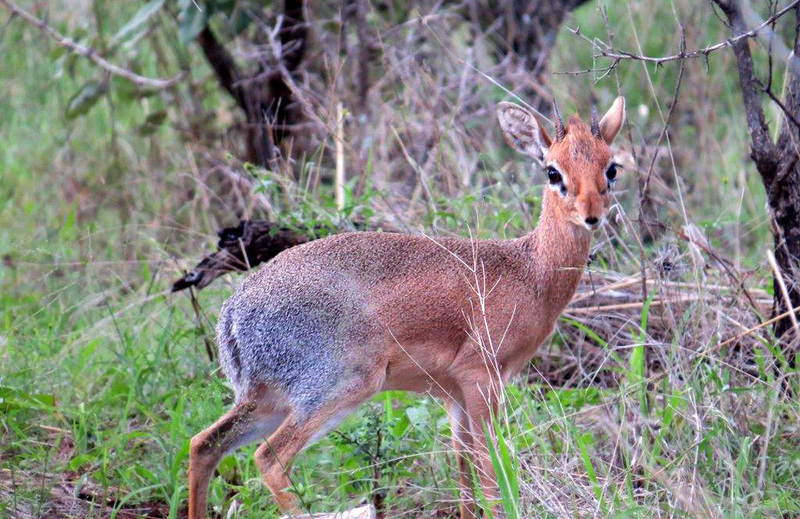 Impala are sexually dimorphic. 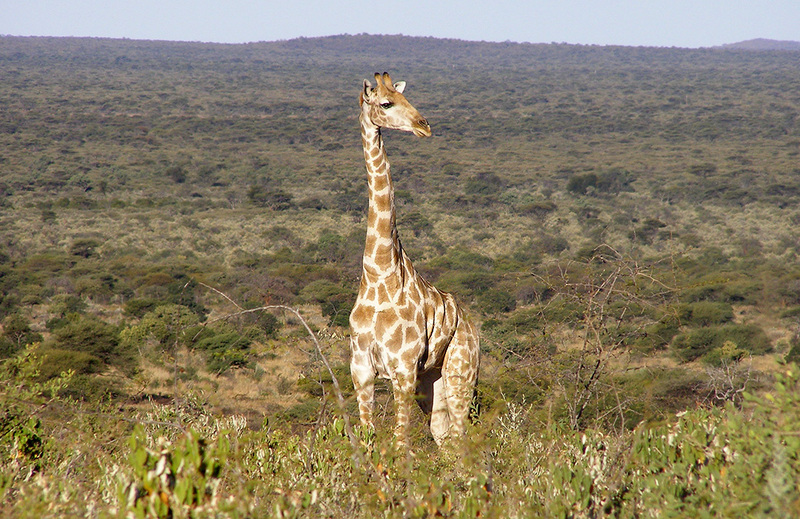 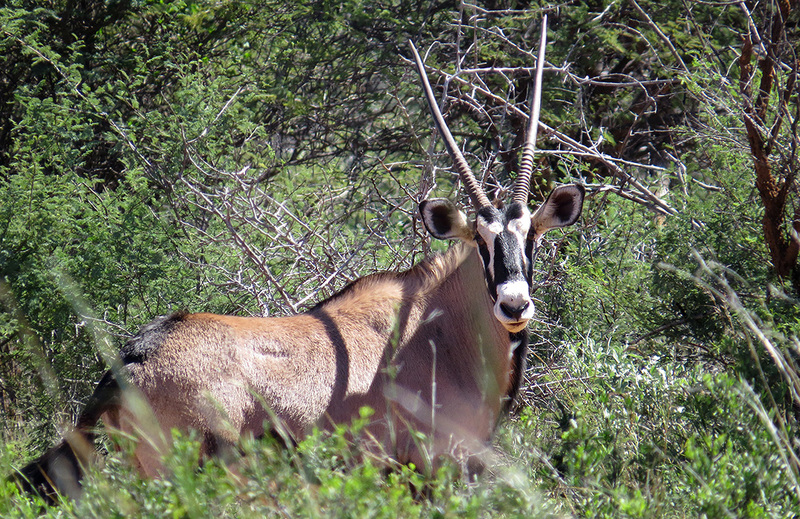 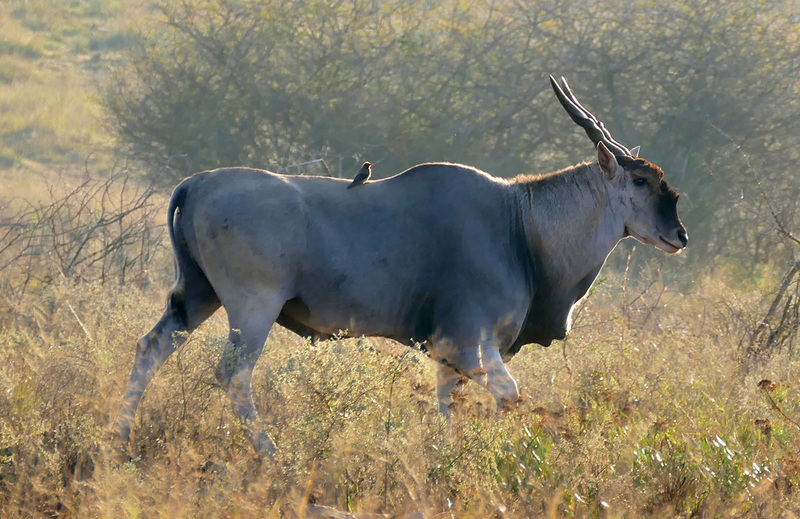 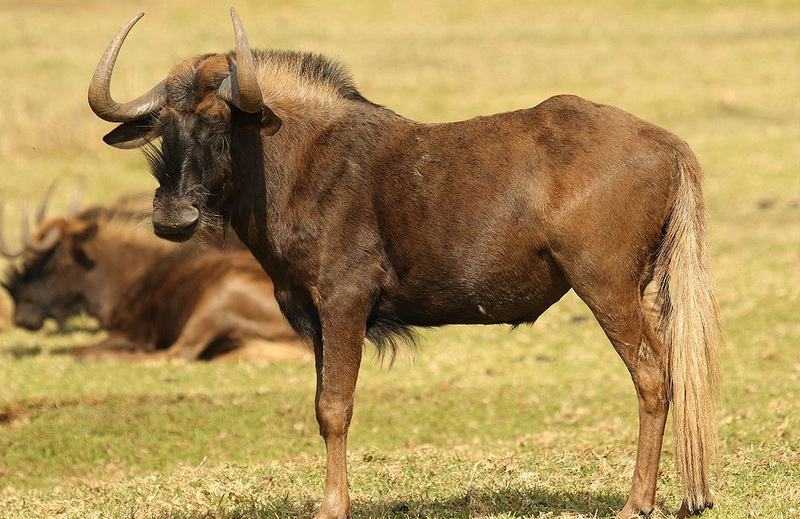 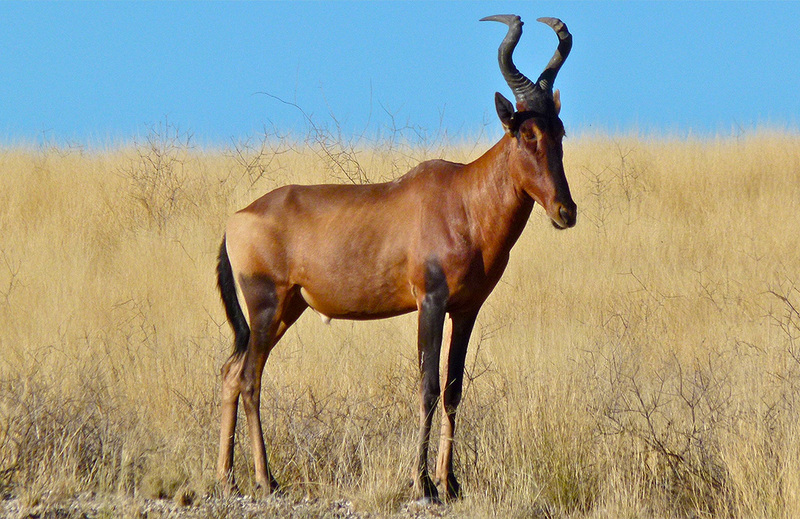 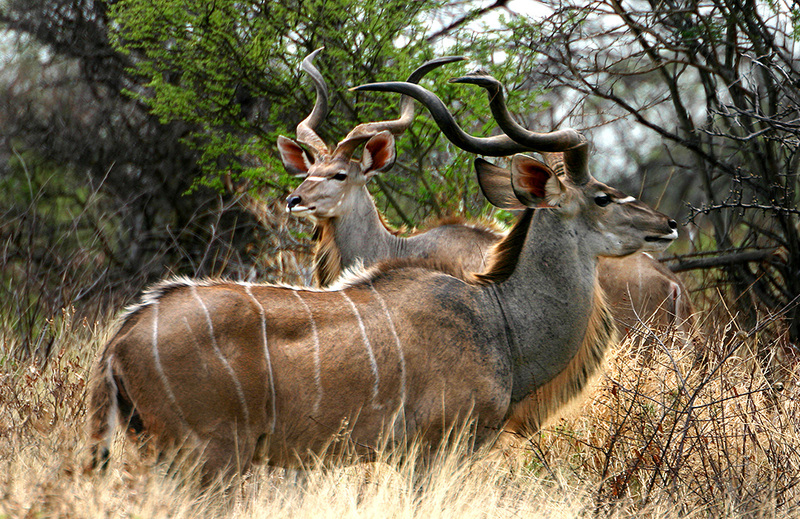 In this species only the males have S shaped horns that are 45 to 91.7 cm long. 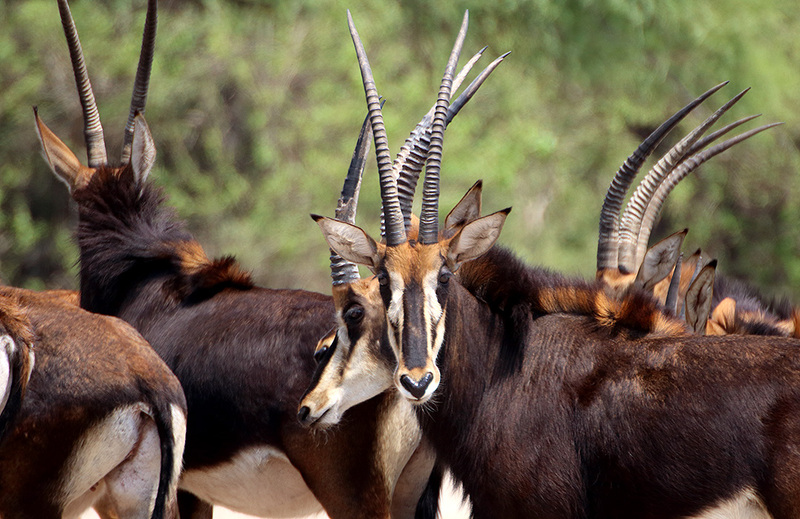 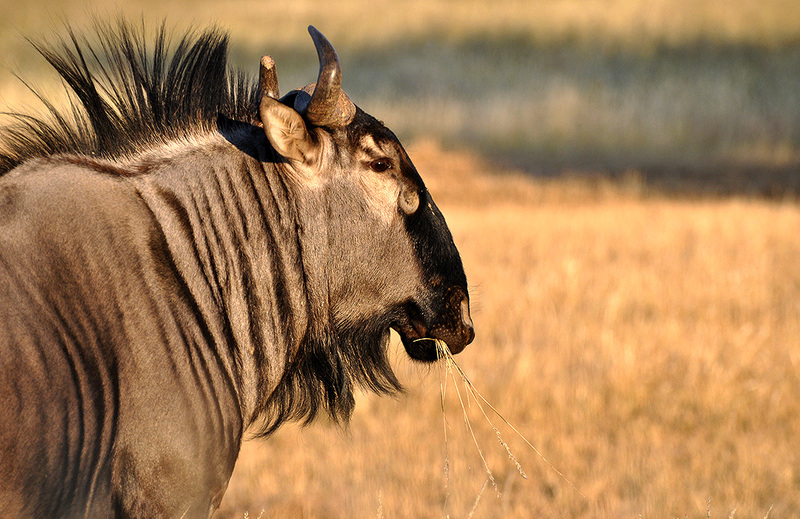 These horns are heavily ridged, thin, and the tips lie far apart. 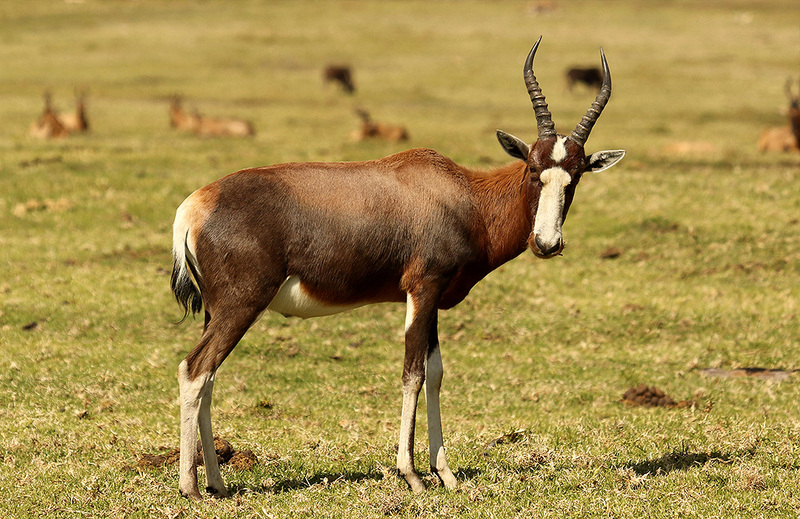 Both sexes are similarly colored with red-brown hair which pales on the sides. 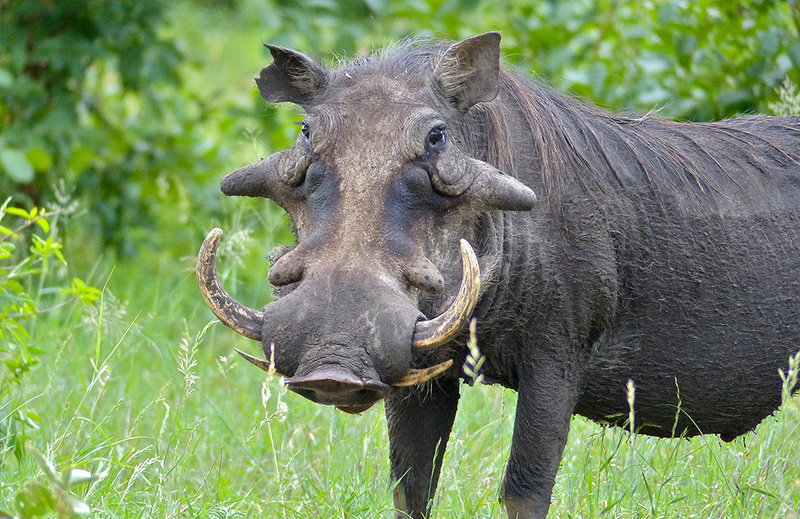 The underside of the belly, chin, lips, inside ears, the line over the eye, and tail are white. 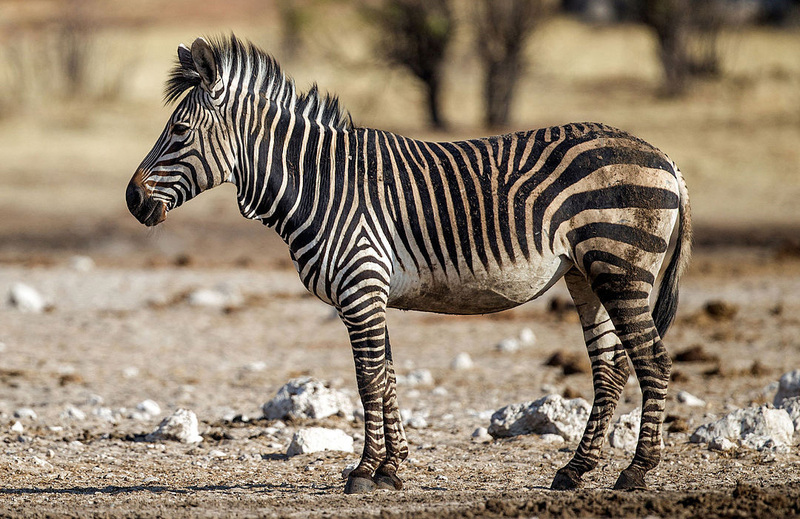 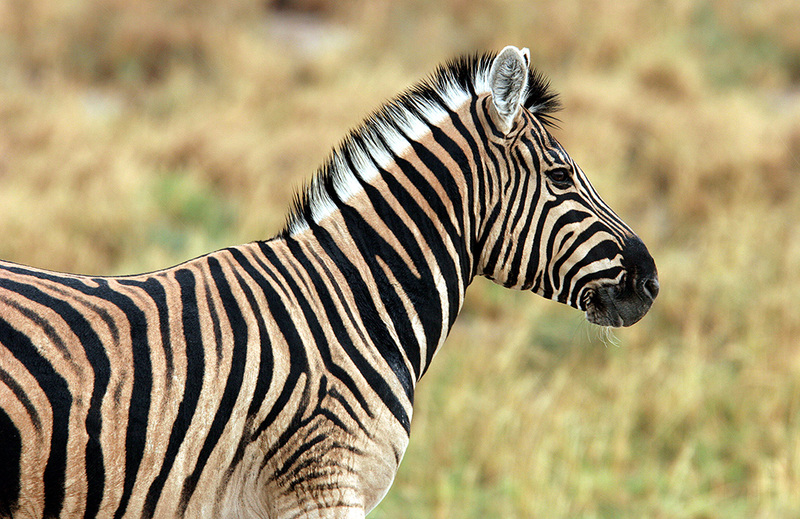 There are black stripes down the tail, foreheard, both thighs, and eartips.